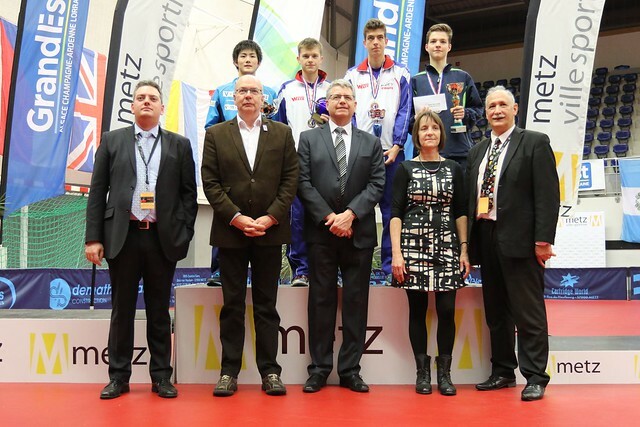 The 2017 ITTF Premium Junior Circuit French Junior and Cadet Open team events opened on Friday 17th February in Metz. 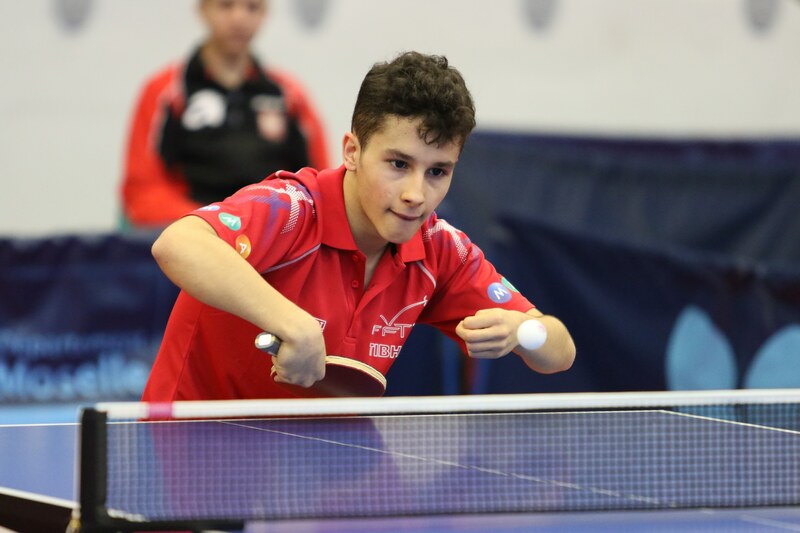 There was a big upset in the Junior Girls' Team group stage as Portugal eliminated the fourth seeded team to move into the main draw, while France enjoyed a positive day in the Junior Boys' Team competition. Portugal were drawn into Group C of the Junior Girls’ Team competition alongside Turkey, Switzerland and the mixed nationality pairing of players from Denmark and Japan with the top two teams from the group progressing to the main event. Starting off Portugal’s group campaign was a difficult encounter with Turkey which resulted in a 0-3 defeat for Portuguese lineup, however, a brace for Raquel Martins alongside Daniela Moura’s successful result in the deciding match saw Portugal triumph 3-2 over the Danish duo of Louise Steffens and Sophie Walloe and Japan’s Maki Shiomi to move into a healthy position in the group. Then Group C drew to a dramatic close with Steffens, Walloe and Shiomi sacrificing a strong lead to suffer a 2-3 defeat to Turkey, and Portugal finished in the group runners up position after a comfortable 3-0 victory over Switzerland. Unsurprisingly the top two seeded teams Japan and Azerbaijan topped Group A and Group B respectively, while France `A’ and the team of Belgium’s Natacha Koszulap, Hong Kong’s Wong Chin Yau and Ukraine’s Yeva Kaplun claimed the other main draw positions up for grabs. Alongside the Junior Girls’ Team action taking place on day three of the 2017 French Junior and Cadet Open there was also play from the Junior Boys’ Team event as the list of 18 entries was narrowed down to the final eight sides. One of the standout squads from the group stage was France `C’ after the lineup of Florian Bourraassaud, Damien Llorca and Esteban Dorr registered victories over Singapore, Czech Republic and the mixed nationality team of Romania’s Paul Mladin, and the Danish pairing of Thor Christensen and Benjamin Nielsen to top Group E.
Another surprise team to finish first in the group stage was Japan `A’. Not only did Japan `A’ manage to beat England, but the team of Jo Yokotani, Kakeru Sone and Kazuki Hamada also came out on top against the no.4 seeds USA and the sixth seeded side consisting of Singapore’s Poh Shao Feng Ethan and Lucas Tan and the Lithuanian contestant Medardas Stankevicius. Following the conclusion of the group stage there were two matches remaining before the day drew to a halt, with two place in the quarter-finals still up for grabs. Azerbaijan will make an appearance in the next round of the competition after the team of Wang Chenxi, Yang Xinyu and Vazir Allahverdiyev condemned the USA to a 3-1 defeat, and winning performances from Aoto Asazu, Haruki Miyamoto and Hiroto Shinozuka helped guide Japan `B’ into the last eight following their 3-o win over Turkey.